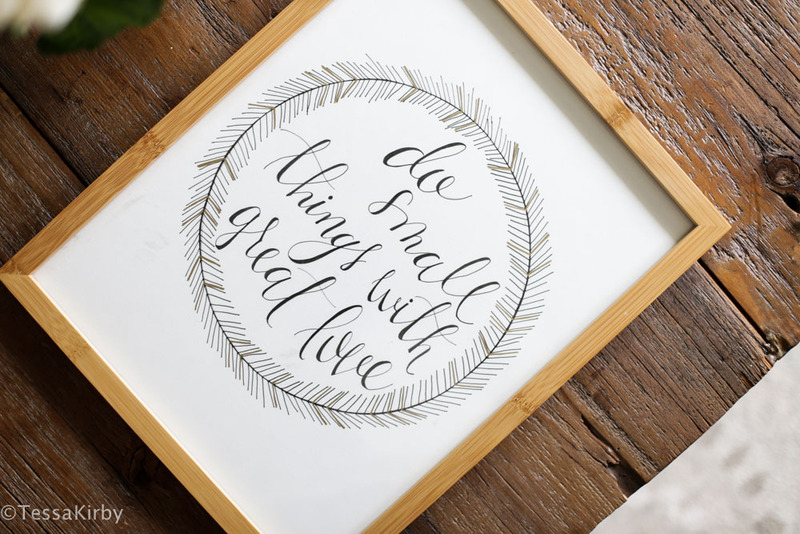 I'm so happy you're interested in my hand-lettered "Do small things with great love" poster. About two years ago I started my own handlettering business but after baby #3 came along I had to put that hobby on the back burner. I am super excited to be able to share some of my most favorite posters I've done for our house with you. And I hope your home can love them as much as mine does! This one sits in one of my kids rooms. You can see the entire space HERE. 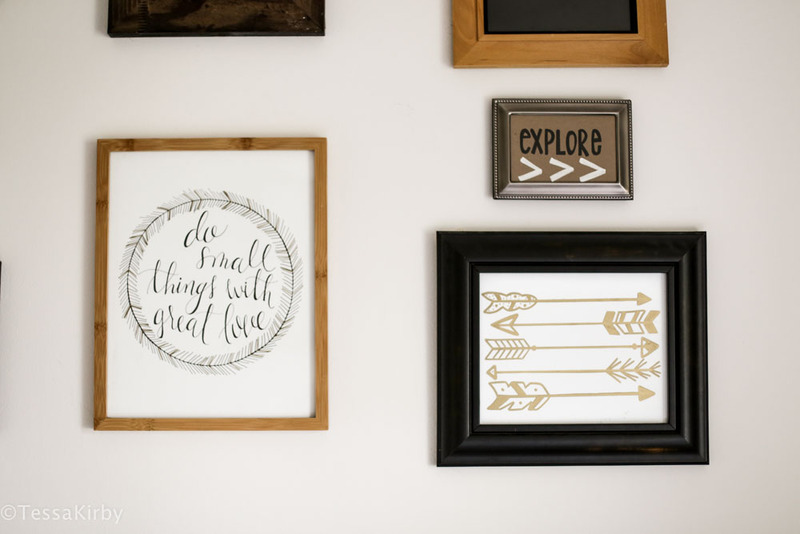 Check out my FREE hand drawn "Arrows" printable, as well as, my "But in the morning give me coffee" printable. Fill out the form below to download your free poster!! After you've entered your info wait to see "click to download" appear. *This image is not to be copied or distributed anywhere else. Sign up below to download your free printable! Thank you! Click here to download your poster!